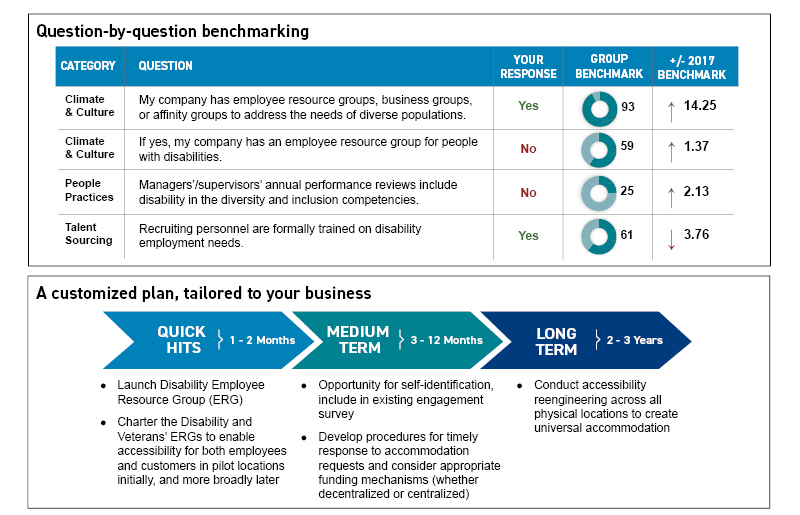 Our Disability Inclusion Accelerator™ provides a data-rich view of where you are in your disability inclusion journey – and an action plan to advance your efforts. PwC turned its Tracker data into a plan with the Disability Inclusion Accelerator™. NOD’s disability employment experts delivered an in-depth analysis of PwC’s Disability Employment Tracker results and developed customized recommendations to advance their efforts to recruit top talent with disabilities. For your Disability Inclusion Accelerator briefing, please contact us at services@NOD.org. Haven’t taken the Tracker yet? Start now!